Texting is the most common and frequent way that teens communicate with all types of friends, from the ones they’ve just met to more established relationships. But teens haven’t abandoned phone calling. 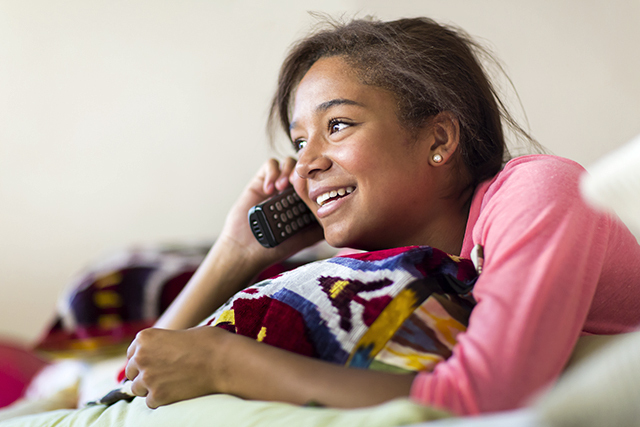 A recent Pew Research Center survey on teens, technology and friendship finds that phone calls are an important way that teens connect, particularly with their closest friends. 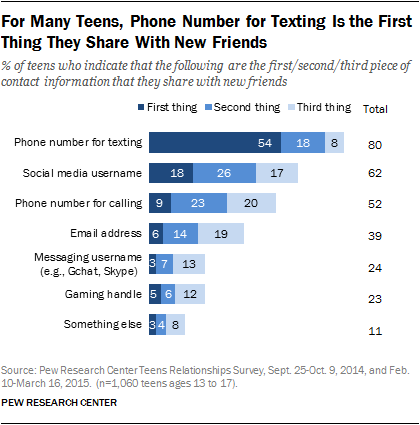 The survey asked teens to rank the types of contact information they would most commonly share with a new friend. About half of teens (52%) told us that a phone number for calling is one of the first three types of information they would share, but only 9% say this is the first contact information they would exchange. By comparison, 80% of teens share their phone number for texting with a new friend, and 54% say it is the first thing they would give to a new friend. While few teens say the primary way they connect with new friends is through phone calls, teens are more likely to talk with their closest friends by phone. 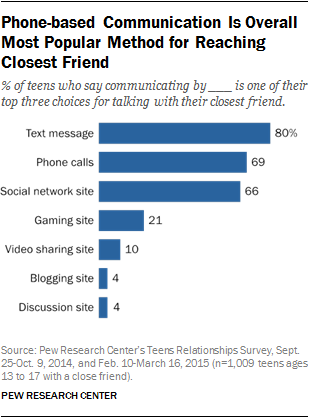 Teens with close friends also provided their top three ways of reaching these friends. Text messaging was again the most popular, with 80% of teens naming it as one of their top three choices and 49% saying it is the most common way they keep in touch. But phone calls are second: 69% of teens cite phone calls as one of their top choices for talking with their best friends, including 13% who say it’s their most common way of keeping in touch. Teen girls (75%) are more likely than teen boys (62%) to cite phone calls as one of their preferred ways to talk with close friends, and black teens are especially likely to do so: 84% of black teens say phone calls are a top choice for talking with close friends, compared with 69% of white teens and 63% of Hispanic teens.